Projects really stand out with their sparkling, shimmering ink. For an extra magical effect, add embossing powder to the ink. 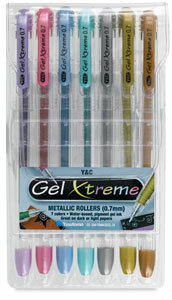 Gel Xtreme Metallics, Set of 7 — Includes one each of Blue, Bronze, Gold, Green, Pink, Purple, and Silver. 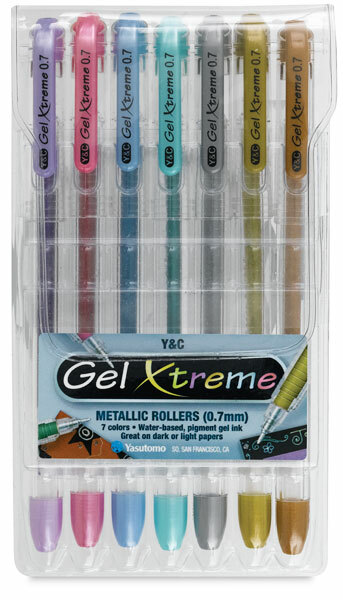 Gel Xtreme Pastels, Set of 7 — Includes one each of Orange, Yellow, Lime, Pink, Sky Blue, Purple, and White.